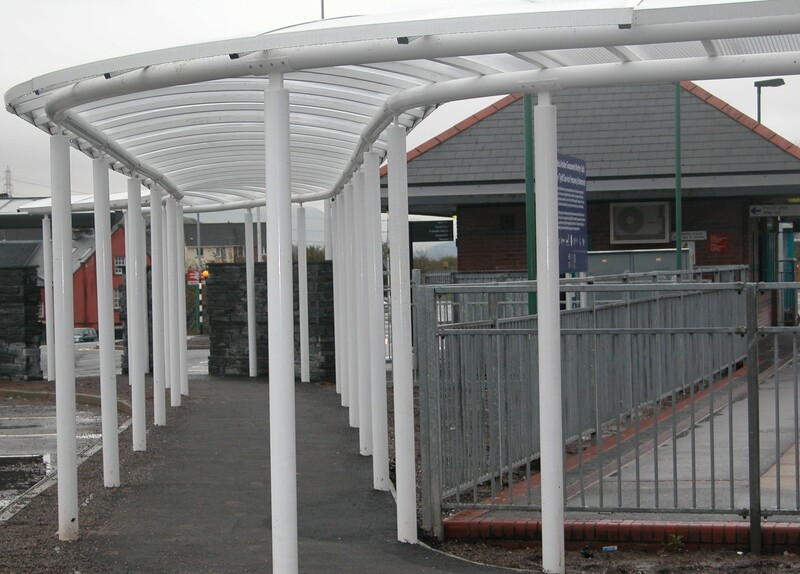 When a full walkway is not required we can use a canopy system to create a covered walkway area to a building, providing some weather protection for people if they need to wait to gain access or move between two buildings. 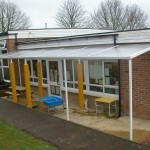 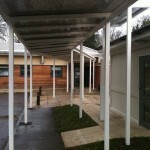 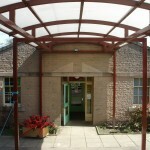 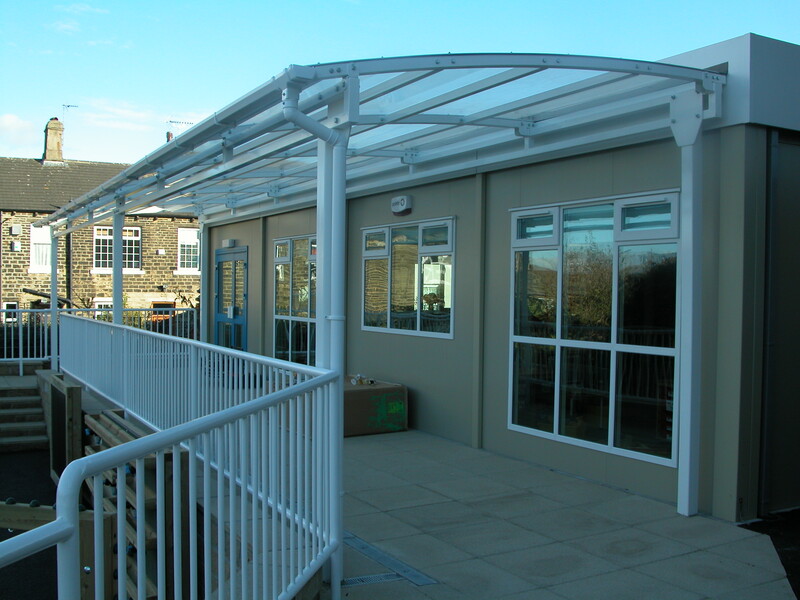 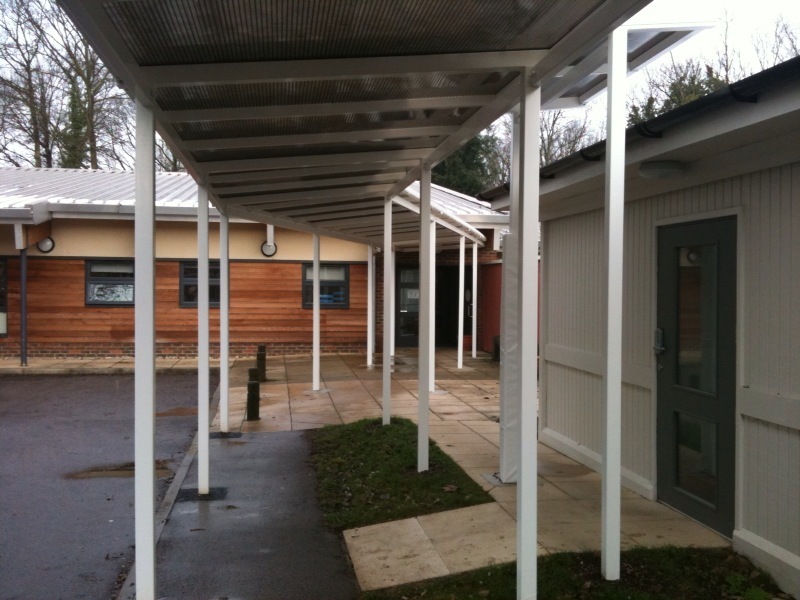 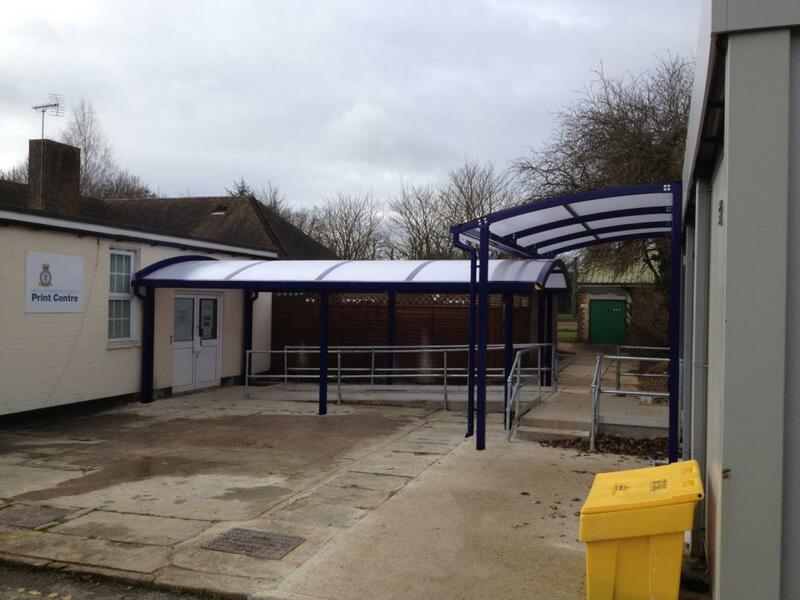 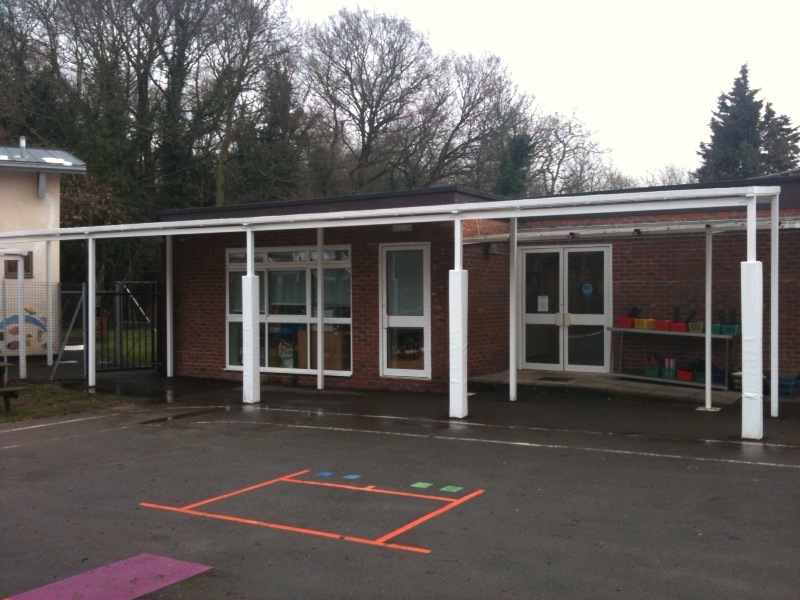 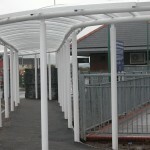 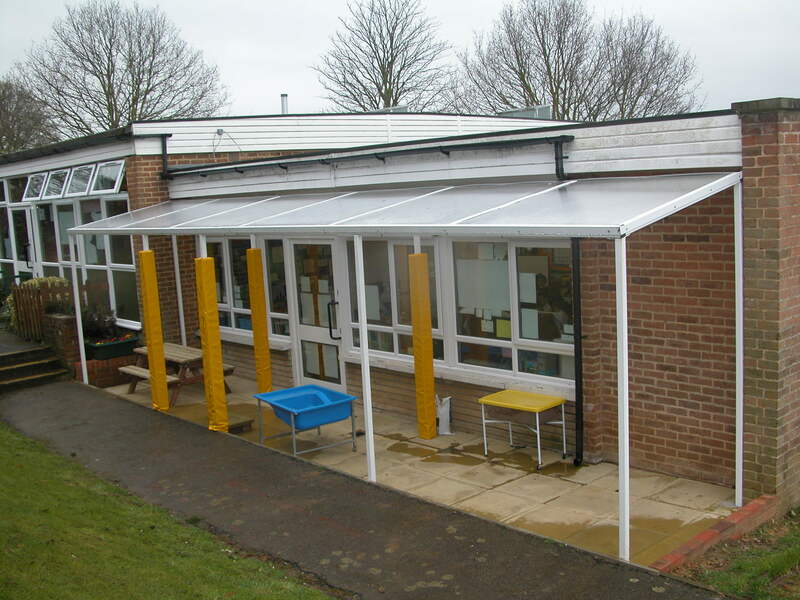 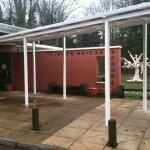 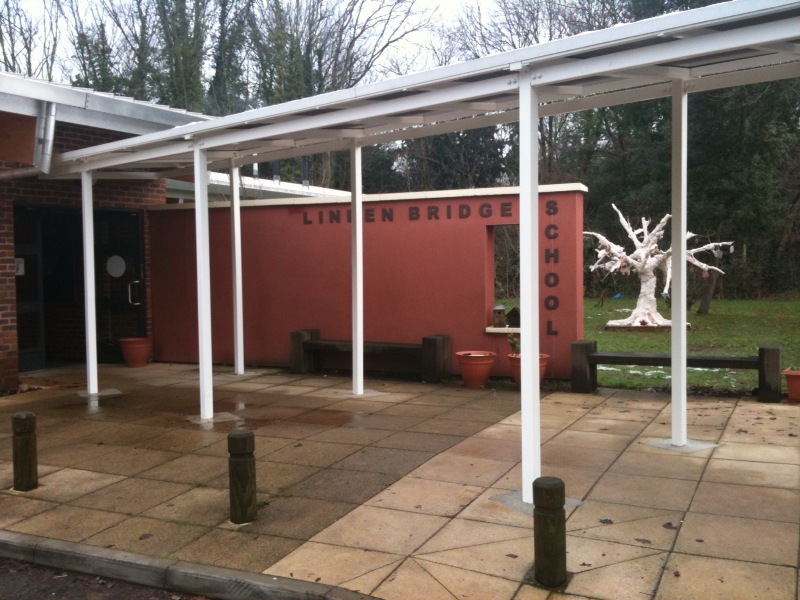 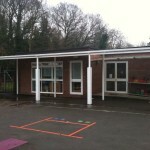 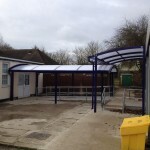 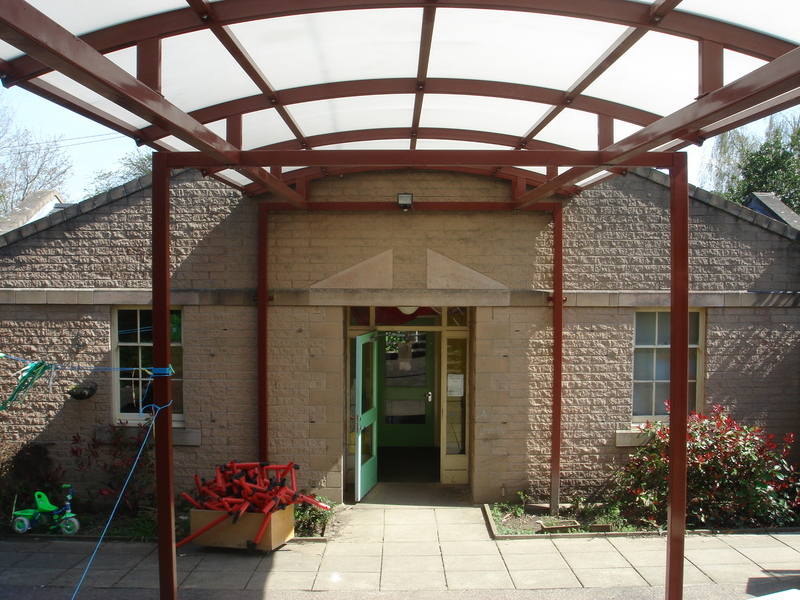 Our walkway canopies are designed, fabricated and installed by Lockit-Safe. 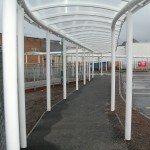 This gives us a high degree of flexibility to create a walkway solution that works within your environment and fits your needs. 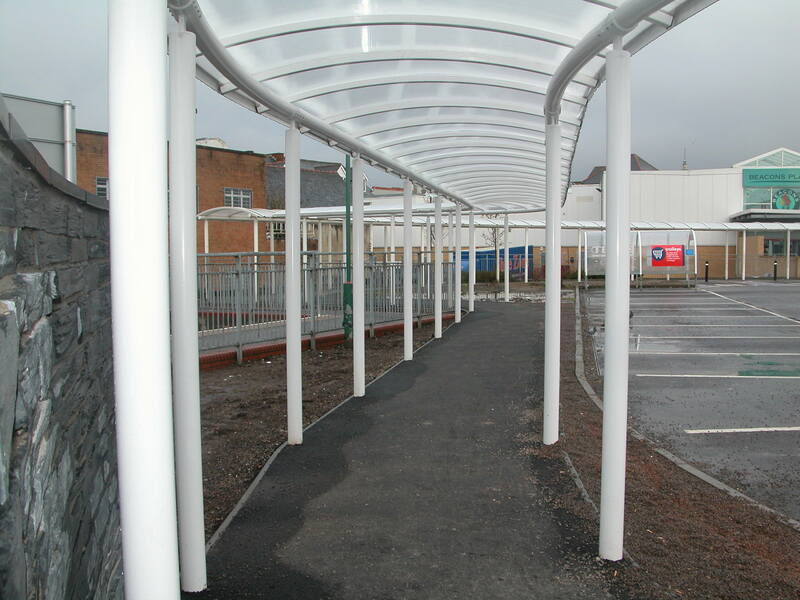 All our walkways can be made from a variety of materials, cladding and finishes and include features such as integrated guttering and drainage and post protectors. We can polyester powder coat the galvanised steel frame to match any RAL colour so the walkway can fully integrated with the building and any branding or corporate colours.